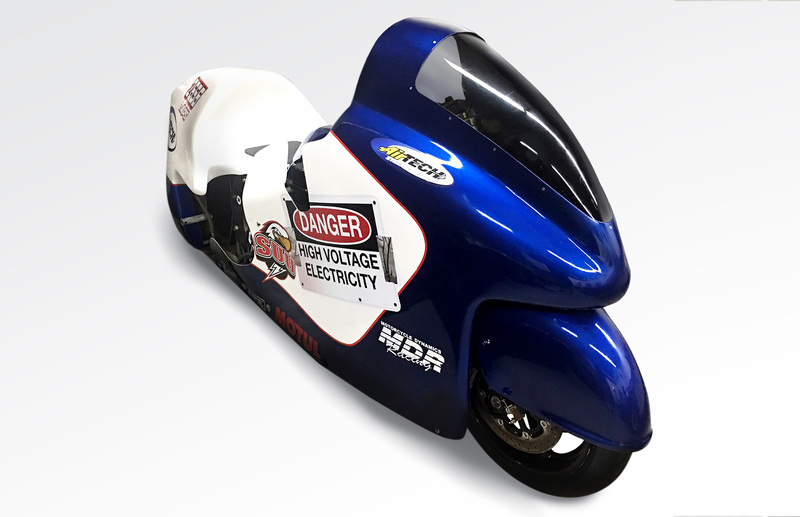 Omega Racer is designed and built with one goal, setting the land speed world record for an electric motorcycle. Kent Riches selected the most powerful motor he could find, built the chassis to put the power down to the salt flats and wrap the whole package in a wind-tunnel designed bodywork. The result, the first certified land speed world record for an electric motorcycle. Amazing nine records total.